Workers’ Compensation – Diana I. Castrillon, P.A. Work related injuries happen every day and the process is supposed to be very simple—you are hurt so you tell your employer and they provide you with medical attention and pay your wages while you are getting better. Simple, right? Wrong! The Workers Compensation statute was created by the Florida Legislature to be a simple process, but the insurance companies and recent changes in the law by the Legislature have made this process complicated and limiting to the injured worker. The insurance companies have a large staff of work accident lawyers available to protect them. As an injured worker, who is looking out for your rights in this complicated system? 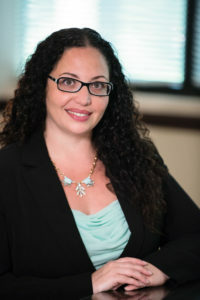 Let a South Florida workers’ compensation attorney, Diana Castrillon, protect your rights and help you in every aspect of your case from beginning to end. We will help you with obtaining medical care and getting paid for your lost wages while you are unable to work. We handle everything so that you can focus on getting better without the added stress. If you or someone you know has been injured in a work related injury, let us protect and defend your rights. Call us now for a free consultation with one of our highly qualified workers’ compensation attorneys. We are fully bilingual and will meet you at your home, hospital, or our office. We can even meet with you on weekends or evenings. Attorney Diana Castrillon of Cecere, Santana, P.A. will fight diligently to protect your rights so that your only focus is on getting better. Call us today toll-free to 800-75-FL-LAW and find out more. © 2019 Diana I. Castrillon, P.A.